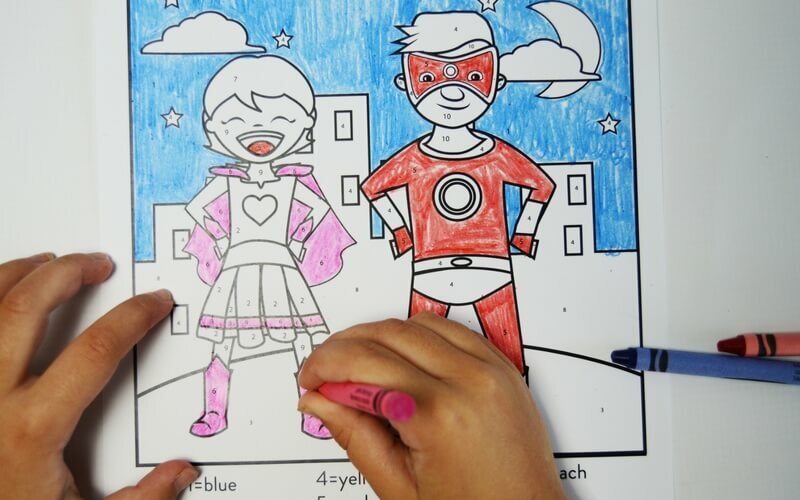 The Superhero Calming Coloring and Activity Pack uses fun superhero themed activities to help your wiggly kids stay still and improve focus! 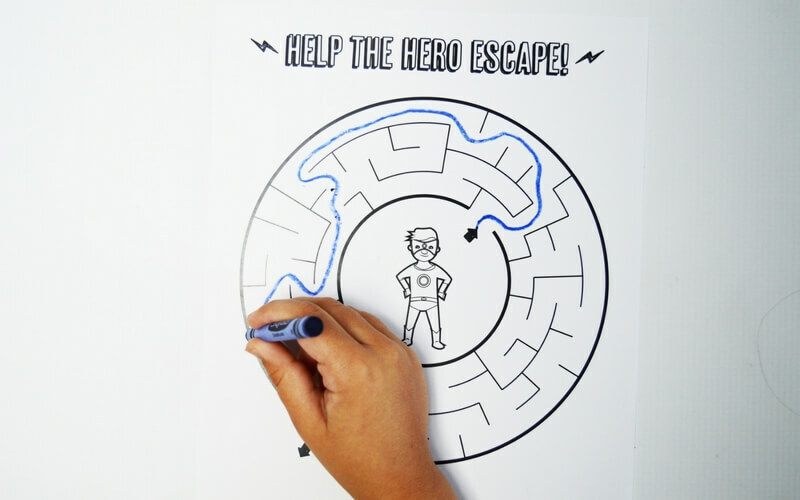 With the fun pages in the Superhero Calming Coloring and Activity Pack, your kiddos will be able to handle wait times and transitions like a pro! 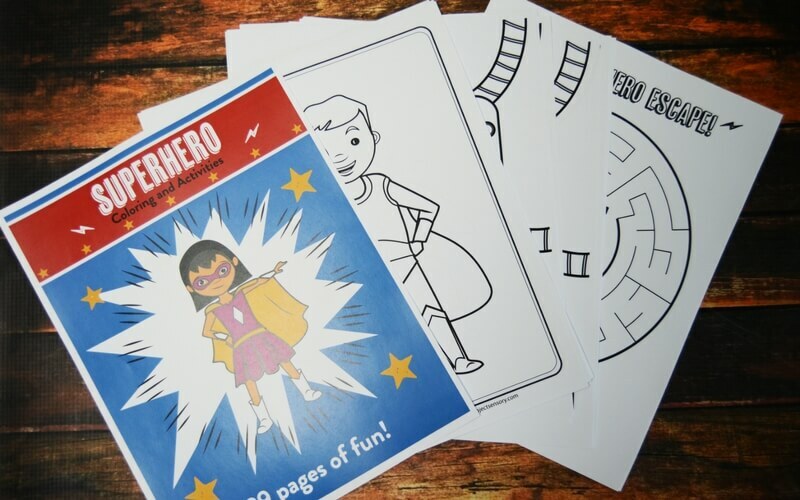 The Superhero Calming Coloring and Activity Pack is full of superhero themed coloring pages, mazes, I-spy, letter finds, color-by-number, matching games, and even a make-your-own superhero mask activity! 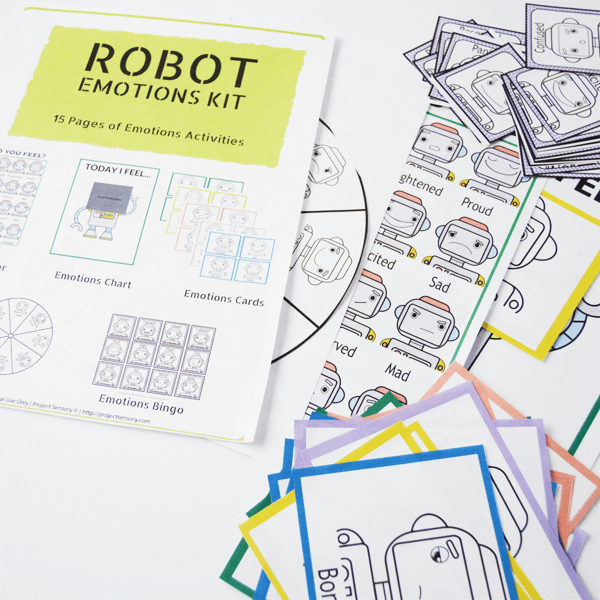 Let your child’s creativity fly with these fun activities! 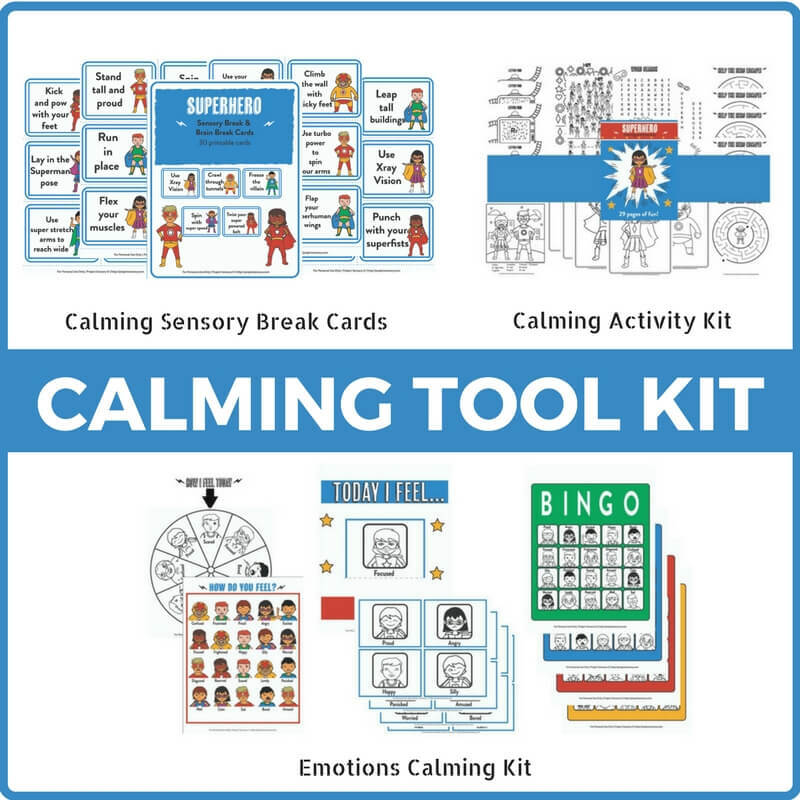 Each of the twenty-nine pages in the Superhero Calming Coloring and Activity Pack is specially designed for kids of all ages. 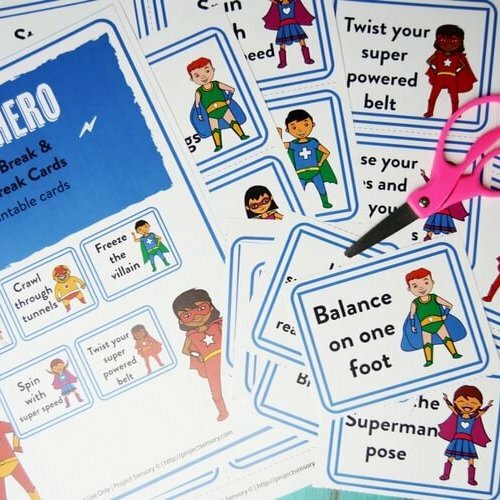 The fun superhero theme will catch their attention, and the activities will easily keep it. 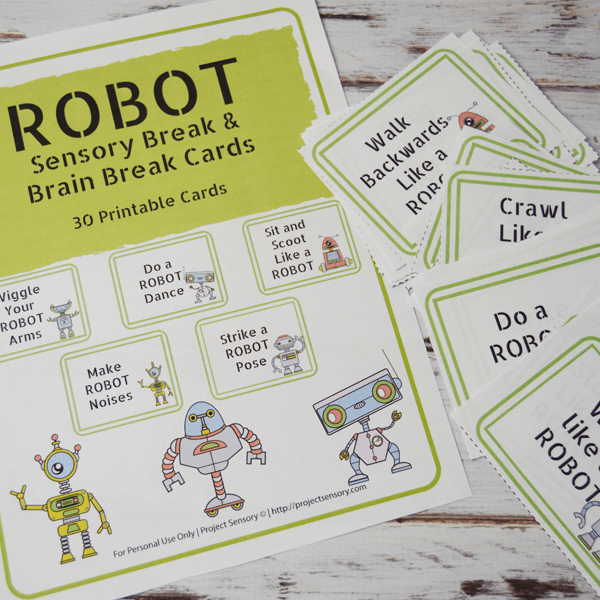 Help children engage in activities that will help to increase their fine-motor skills, attention span, and even their visual recognition skills. This activity book is ideal for children with sensory struggles and is designed specifically with them in mind. Children with or without sensory processing struggles will find joy in the pages of this b k, and will learn with it through play and imagination.